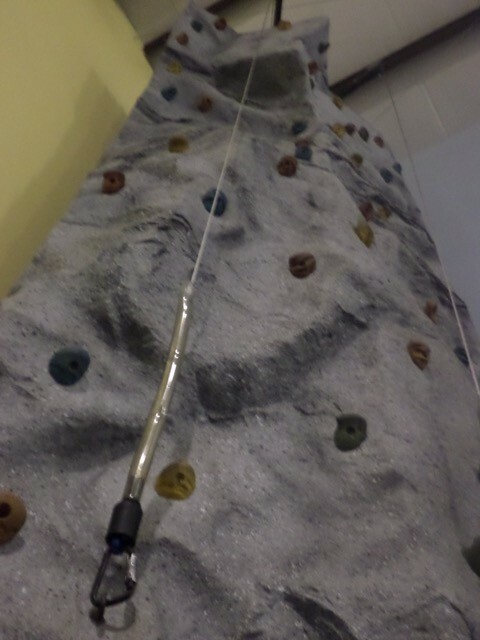 High-quality fun, excitement and affordable thrills are what you can expect when you attempt to climb a rock wall. It doesn’t matter if you are looking for some cheap and affordable fun that is suitable for all ages, or to cross something off your bucket list, rock wall climbing is a great way for you to release some tension while trying something different and new. Even if you are scared of heights, you should at least attempt to overcome your fear so you can enjoy the many benefits of this activity. If you are trying to motivate yourself to climb that wall, here are several reasons why you shouldn’t give up. While you may not be interested in becoming the world’s next strongest person, rock climbing on a regular basis can increase your physical strength and stamina. Now this may not seem like a big deal if you are only interested in rock wall climbing as a way to entertain your children, but even children can benefit from becoming more physically active. Besides, increasing the amount of physical activity your children get is also a great way to help them burn any excessive energy they have so they are much easier to deal with. It’s a well-documented fact that increased physical activity increases the amount of feel good and mood-boosting endorphins in the body. This can really be beneficial for anyone who occasional suffers from mood disorders or has trouble concentrating. The more you and your children engage in rock wall climbing on a regular basis, the longer and easier it will be for you to maintain a positive mood and concentrate in other areas of your life. What better way is there for you to increase your confidence than to climb a rock wall? Nothing is more satisfying than learning a new skill. And even though you may think that rock climbing is not a valuable skill to have, it can actually help to boost your confidence so that you’ll feel better about yourself and the decisions you make. When you are engaged in the act of climbing a rock wall, you have no choice but to set a goal and see it through. By the time you make it midway up the wall, you are not going to want to turn back until you reach the top. As you climb, you are methodically planning where you are going to place your hands and feet next so you can climb higher to get closer to your goal. This activity can really be beneficial as it can help you to become more efficient at setting goals in other areas of your life. You don’t have to plan an elaborate and expensive vacation to try your hand at rock wall climbing. You also don’t have to be in great physical shape or need to have a great deal of skill or experience either. Simply order a rock wall rental in Katy to use in the comfort of your own backyard. As long as you are eager and willing to try the activity, you are bound to enjoy it.